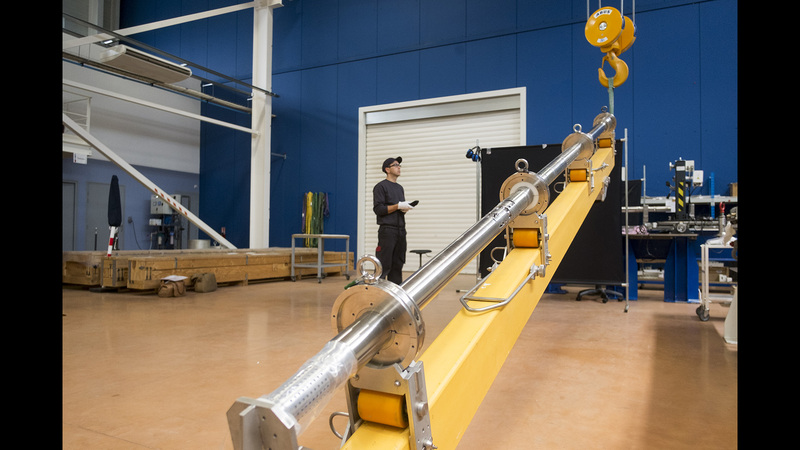 The test device contains the fuel test rod used during the Cabri International Program (CIP) tests. It has been developed by IRSN expecially for the needs of the CIP program. It is very complex equipment, both in terms of instrumentation and mechanical integration and using numerous advanced technologies. 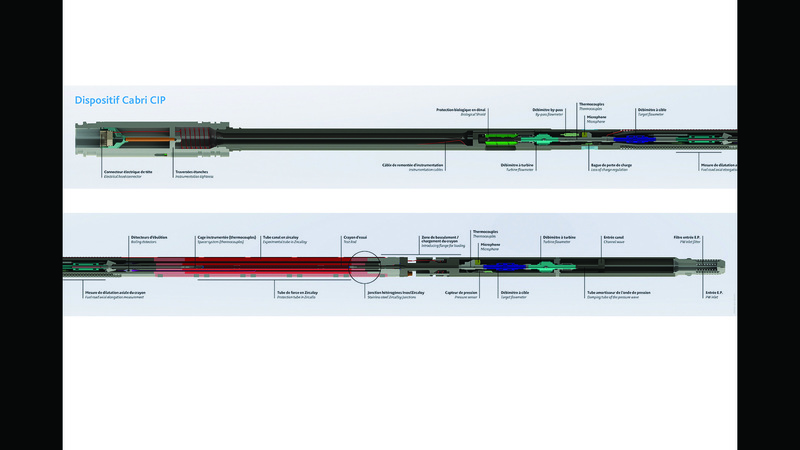 ​It is a tube 5 meters in length, weighing 140 kg and having an average diameter of approximately 100 mm (80 mm in the experimental area and 140 mm at the head). 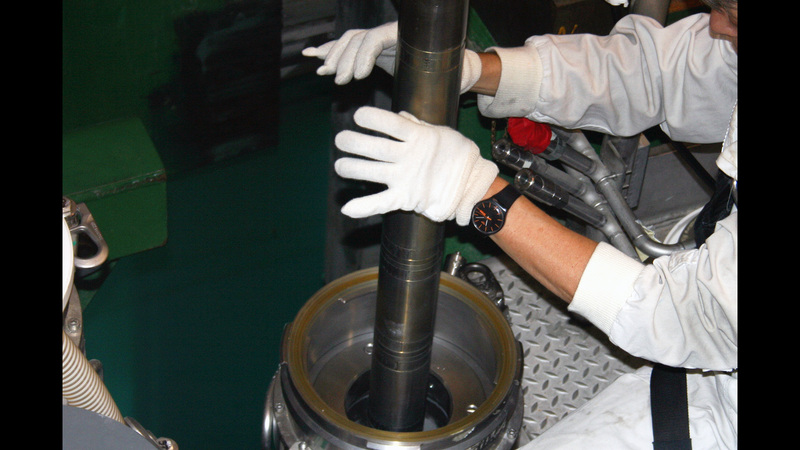 Its nominal operating conditions are those of the pressurized water loop (155 bar/280°C), but it must also be able to withstand the experimental conditions of the test during the transient (up to 500 bar/350°C). ​Test device in TPI company which participated to its construction. Sébastien Pierrisnard is a TPI technician. ​From the center to the outside, it includes the channel tube containing the test rod, a gaseous gap and the pressure tube. The gap between the pressure tube and the pressurized water cell is known as the bypass. 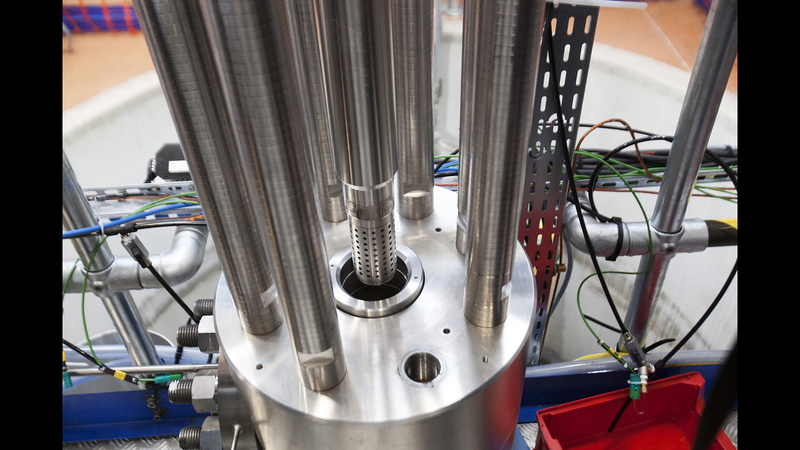 The water flow of the pressurized water loop entering the experimental cell is divided between the channel tube, for circulation around the test rod, and the bypass, around the pressure tube of the test device. The ratio between these two flowrates is 3, which is maintained by a pressure drop ring located in the upper part of the test device. 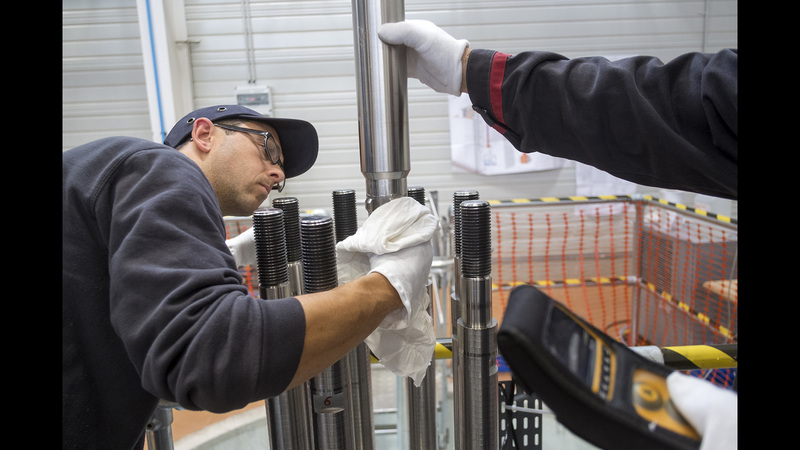 ​Cleaning of the device by S. Pierrisnard before its insertion in the system where hot leaktightness tests will be carried out, in TPI company. 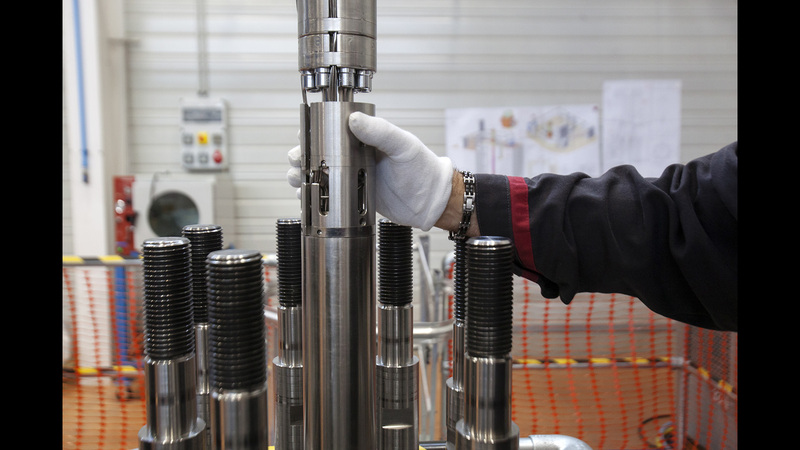 ​The instrumentation embedded in the test device is quite specific (sometimes one of a kind) that meets very tough constraints (high accuracy and very short response time, capable of withstanding the severe use conditions of the device, and mechanical integration in a limited space), and required several years of development. ​Device inserting in the system where hot leaktightness tests will be carried out in TPI company. 1 sensor for axial clad elongation of the test rod,4 detectors of any boiling in the reactor coolant around the test rod during the transient. ​Devices to test pressure sensors leaktightness. 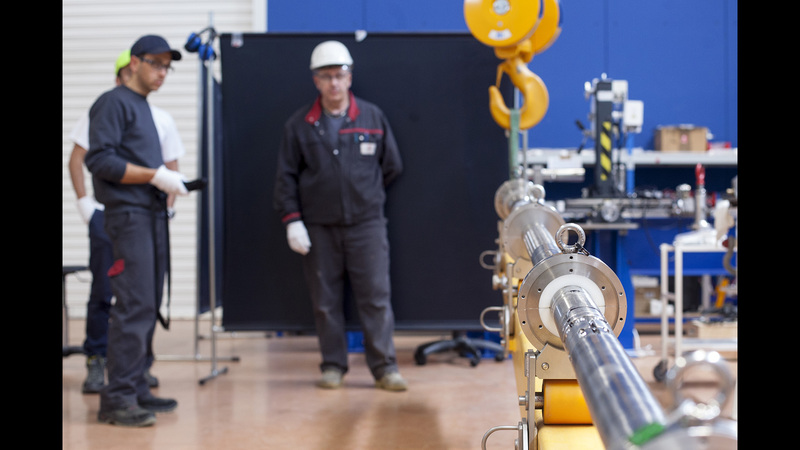 ​Integration of this instrumentation required specific technologies such as microbrazed passages (which ensure leaktightness between the instrument cable and test device structures), high temperature connection units (type of high tech electrical screw connectors able to withstand 300°C) and the electrical connectors for 160 contacts over a 100 mm diameter). Finally, for some of them, special electronics had to be developed. ​Device inserting for its hot leaktightness test in TPI company. ​The schema of the CABRI CIP test device. 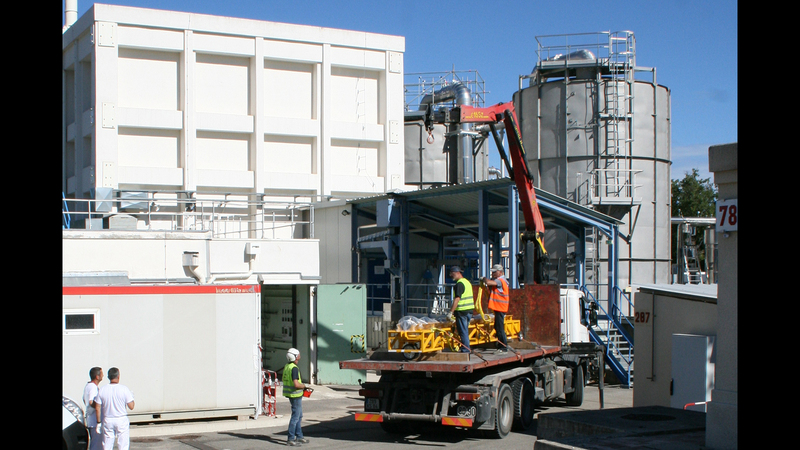 The device -finalized in TPI company - is packed to be transported to CABRI reactor building. 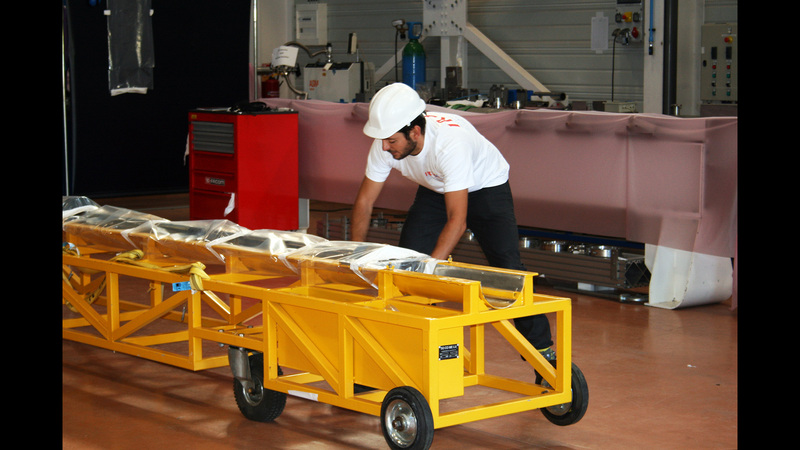 Romain Garrigue is engineer in IRSN's experimental equipment development laboratory (LR2E). 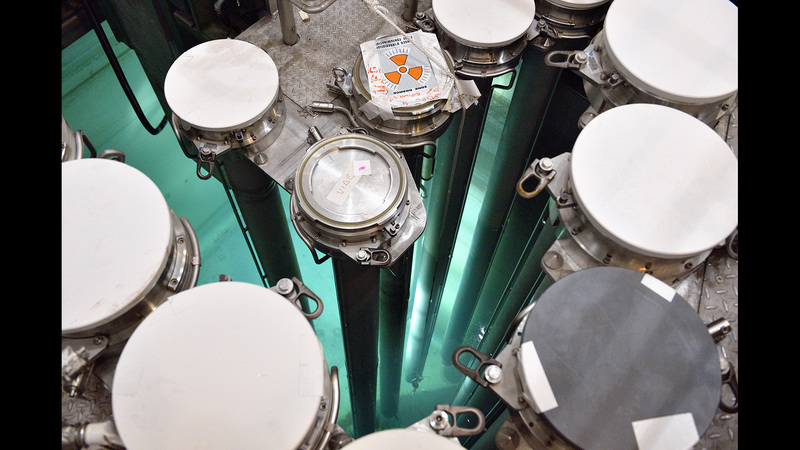 ​Device arrival at the entrance of CABRI reactor hall. 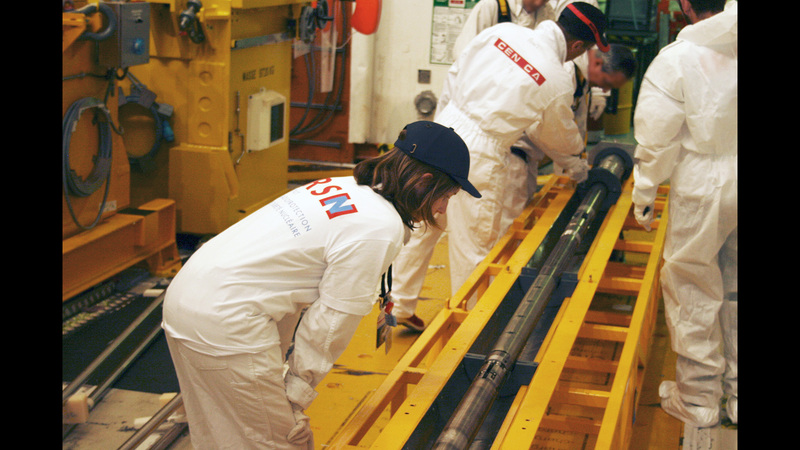 ​Unpacking of the device in the reactor hall and inspection by Christelle Manenc, CABRI CIP project manager in IRSN's L2EP. Device handling to put it in the storage pool. ​​Device inserting in its storage container. 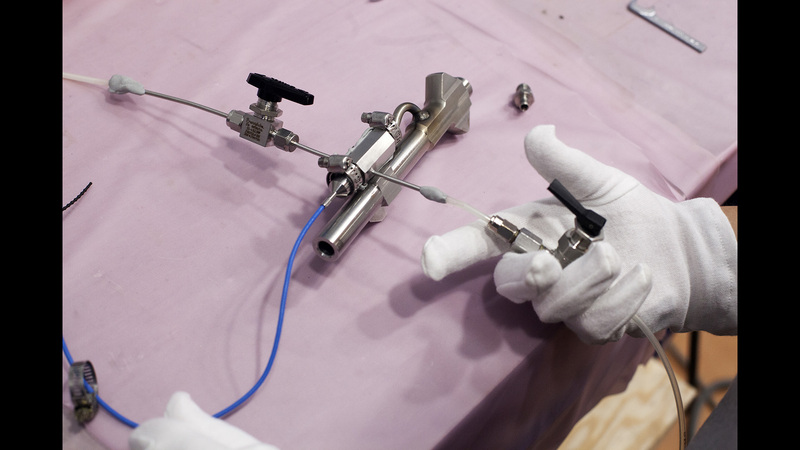 ​​The irradiated fuel rod, which is used during CABRI CIP tests, is inserted into the test device at CEA's LECA laboratory. 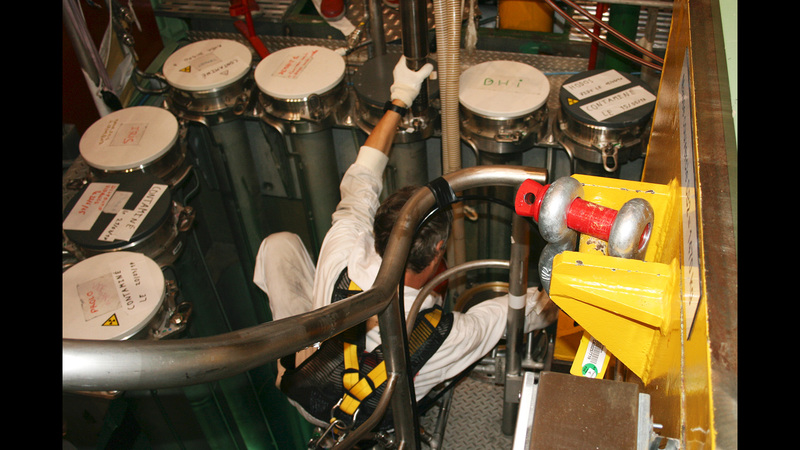 To make the round trip between LECA and CABRI reactor, the device is placed in CABRI handling cask (in green), which is inserted into a transport shell (in white). ​Storage containers of CABRI test devices.